Find out more about the canine stars of the film. Click on their photos to learn more about them. 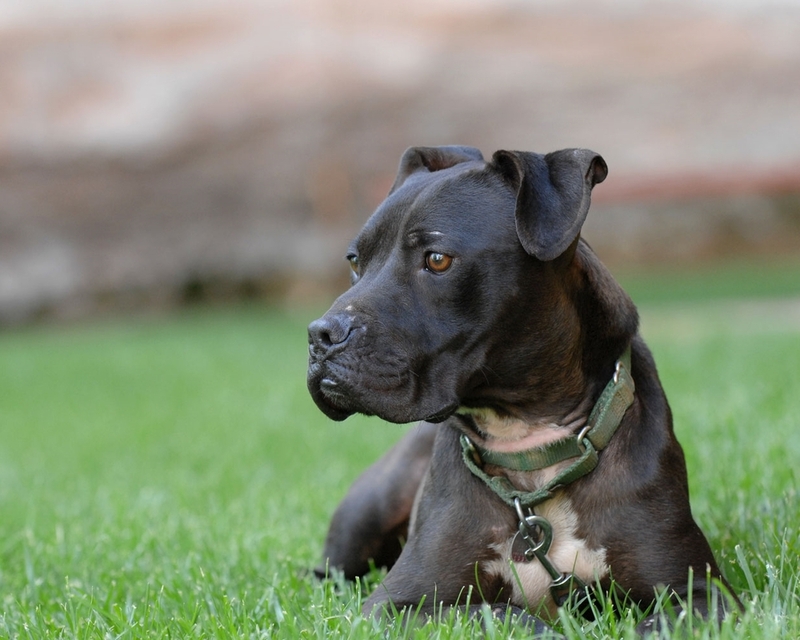 Thought to be one of Michael Vick’s fighting champions, Georgia was one of only a handful rescued who retained any real aggression towards other dogs. But she absolutely adored people. Not widely known, aggression towards dogs is a very different issue from aggression towards humans — a dog can be one or the other, or sometimes both. Confident, dynamic, and affectionate, Georgia quickly became a favorite among sanctuary staff. She was also much loved by the director of The Champions, Darcy Dennett, and one of many inspirations for the film. Georgia passed away in her forever home in 2013. Meryl's fate was sealed when the nervous dog demonstrated slight fear-aggression and snapped at a handler during her initial assessment by the courts. She was “sentenced” to life at Best Friends Animal Sanctuary, where she lives to this day interacting only with staff. She is happy and well loved, and probably would have thrived in a home as well, judging by how much she adores her caregivers — and other dogs — at the Sanctuary. Though he’d been bred to become a grand champion, Lucas's true victories were outside the fighting ring. He proved that what mattered most was being loved — and loving others right back. He showered affection on his caregivers at Best Friends, where the court ruled he live out the rest of his life. Instead of a fighter, Lucas will be remembered as the dog who stood for compassion, kindness, and hope. Mentally, Denzel is thriving. 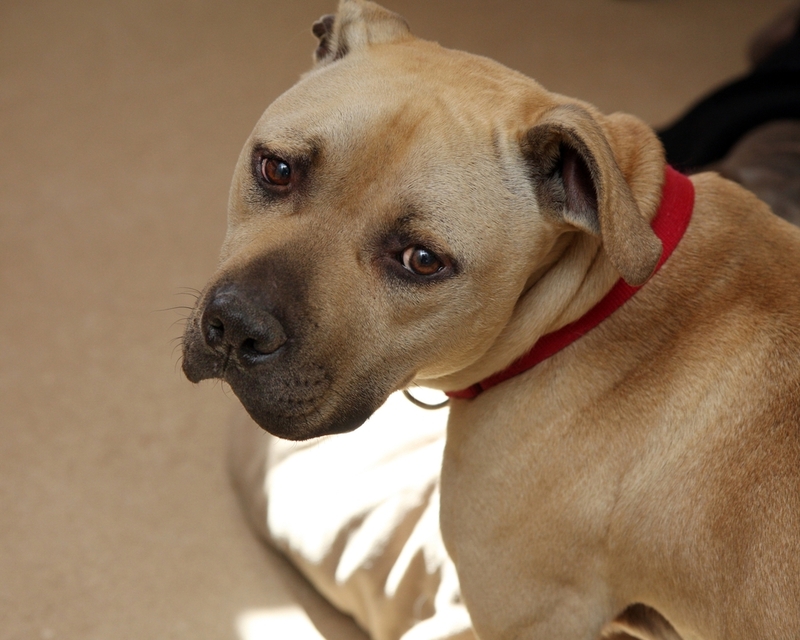 Of the dog's rescued from Vick's property, he was one of the quickest to leave behind memories of his prior life. Physically, however, Denzel suffers from babesia, a disease that compromises the immune system. Transmitted through blood-to-blood contact, babesia is one of the many tragedies — and legacies — of dog fighting. Cherry, Handsome Dan, and Little Red have also been diagnosed with this lifelong condition. Willie’s past, at times, still haunts him. Because he occasionally displays fear aggression toward dogs and humans, he's handled exclusively by a select group of Best Friends caregivers. But thanks to long daily walks, plenty of attention, and a large run filled with his favorite toys, Willie relishes life at the Sanctuary. And he exemplifies Best Friends' philosophy, expressed by cofounder Francis Battista: "The lives of all of these animals have intrinsic value… they’re not ours to dispose of or to discard. There is no small life or insignificant life that doesn’t matter." Athletic and exuberant as ever, Tug's favorite activity remains the one for which he was named. These days Tug can be found patrolling the grounds at Best Friends in his ride of choice: the golf cart. Though he still exhibits sporadic fear-aggression toward other dogs, he's an unabashed softy around humans and wriggles into a lap at even the vaguest invitation. Mya is most at home in the company of canines, but she warms up to humans who are willing to take it slow — especially those bearing treats. She's particularly fond of Best Friends' director of animal care, Michelle Weaver. Together, they're working to boost Mya's confidence and help her more easily adjust to new people and surroundings. Sweet, but still considerably shy around humans, Curly pals around with Mya, sticking to the places around Best Friends where he feels most comfortable. Like Mya, he's working with caregivers to strengthen his self-esteem and expand his horizons — and makes slow but charmingly steady progress. The epitome of trial — and triumph — Lance arrived at Best Friends full of angst and uncertainty. Caregivers worked diligently to help him develop confidence and trust, and the efforts on all sides paid off. Lance ultimately aced his Canine Good Citizenship test, which required him to conquer his fear of strangers. Lance finally went on to live with an adoring adoptive family. 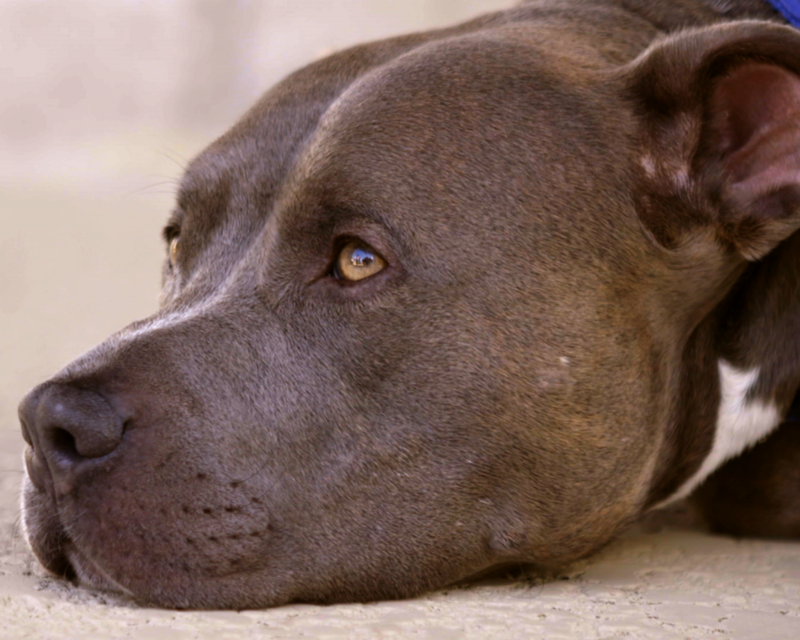 BADRAP, a pit bull focused advocacy and rescue organization based in Oakland, California. At first, the dog was a bundle of nerves and phobias who cowered at the sight of a human hand. But adopter, Linda Chwistek could tell that “deep down inside, he really wanted to please everybody.” Audie became a star in competitive agility, a busy, boisterous sport requiring speed, brains, focus, and a bombproof temperament, earning his AKC Preferred Agility Championship title in 2015. Read more about Audie here. Hector joined his new family as its second famous resident pit bull; Wallace, his adoptive brother, was already a national flying disc champion. Hector proved just as winning, passing the AKC Canine Good Citizen test and the American Temperament Test with flying colors. He became a certified therapy dog — a role he relished — visiting hospitals, nursing homes, libraries, and elementary schools where he helped teach compassion toward animals and how to act safely and responsibly around dogs. Hector passed away in 2014 in the loving arms of his people, Roo and Clare Yori. Taken in by Our Pack Rescue in California, Leo's gentle, genuine acceptance of everyone he met bared no trace of the abuse suffered in the first part of his life. He passed the AKC temperament test and worked with cancer patients as a certified therapy dog. Leo made regular appearances at hospitals, nursing homes and schools for troubled kids, where he provided companionship and helped educate people about pit bulls and the cruelty of dog fighting. Leo passed away in 2011.